As long-time, avid costumers, we like to collect patches that relate to the costuming groups we belong to. 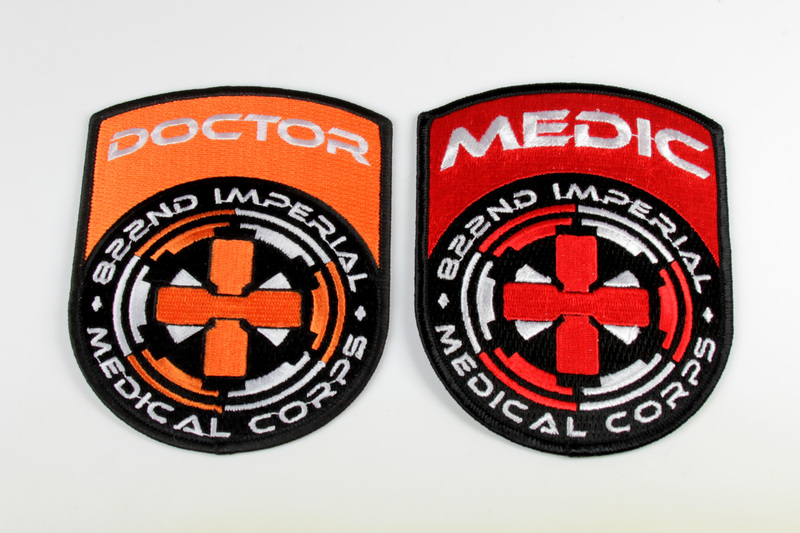 These two patches are from the 822nd Imperial Medical Corps, an unofficial assembly of 501st members who work in medical positions and careers. Although they are not officially related to the 501st Legion costuming club, these are a fun and relevant addition to our collection of club merchandise.